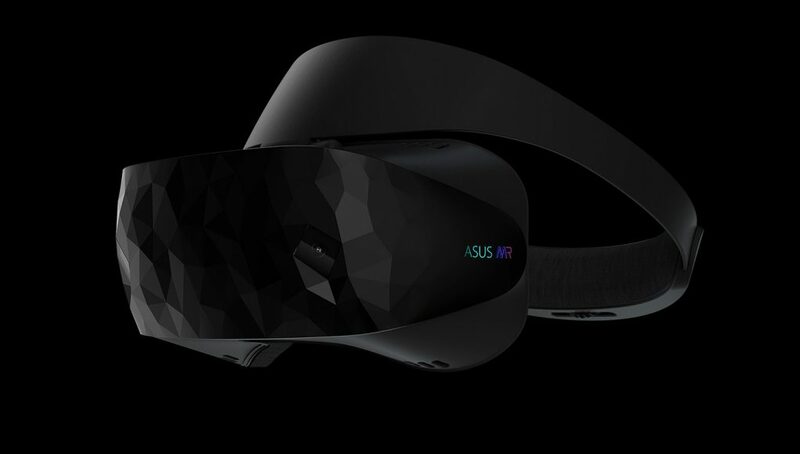 Asus was among a handful of Microsoft partners who planned to launch a VR headset as part of Microsoft’s “Mixed Reality” platform. While those other headsets became available late last year, Asus’ own Windows VR headset is finally launching today. 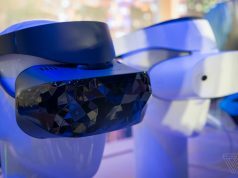 As with the other Windows VR headsets, the Asus HC102 has a pair of cameras on the front which are used for inside-out tracking, which conveniently don’t rely on external sensors. The headset also uses the same Windows VR controllers as the sibling headsets, and has the flip-up visor which is super handy. Aside from a cosmetic design which Asus mananges to call a “unique, modern and revolutionary new style” with a straight face, there doesn’t appear to be much to differentiate the headset from the others, which makes the $430 price tag questionable when its brethren headsets can readily be found 20–45% off their MSRP. 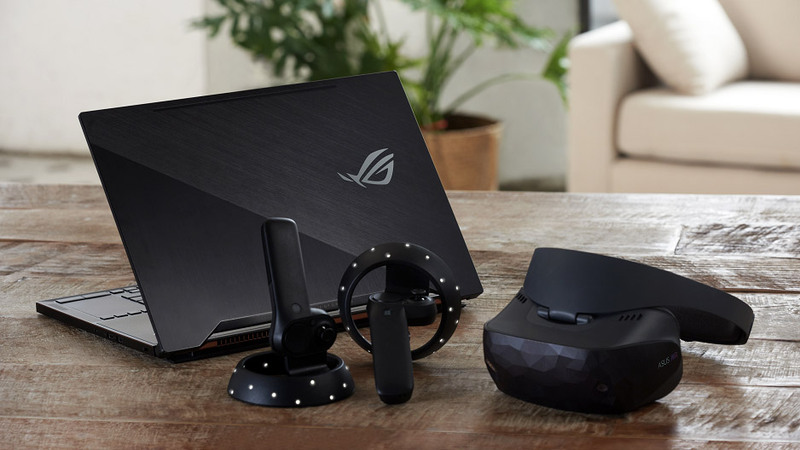 According to a release on Asus’ website today, the headset is said to be available for purchase starting immediately, though it hasn’t popped up just yet in Asus or Microsoft’s stores. Lol, talk about late to the party. This is not diverse at all. More of the same. It even mentions that in the article. D.O.A. Next in line please. uh.. asus makes overpriced issue prone products. 95fov, no need to go any further. Microsoft’s Gender Fluid Reality is just there to poison the well, to kill VR to hide the fact that the XboneX is not powerful enough for VR. I have a oculus and have no need of another headset but I use a asus pc and like asus everything.These mixed reality headsets really go on sale for affordable prices making the once elite and unattainable vr frontier possible.Until the mixed reality headsets can play almost everything on steam it still is a big price for limited software.Praise Jesus! they have been able to play almost everything on steam for months now. i see more threads with people having oculus or vive specific problems than i do WMR. The idea of not needing sensors is excellent but can they work with vorpx and alternate software like grand theft vr? Jesus is my Lord and Savior. I’m digging the faceted face plate. Nice to see a company play with the design a bit. I used the Acer headset once and it was not bad, but I was not impressed either. I am a Vive user myself and I get that the thing is expensive, but I just find it hard to see why someone would get this over a Rift, for instance, when it pretty much costs the same and it’s much more capable. Competition is great, but having all these headsets coming to market with different capabilities might fragment the userbase. Not every person invests time in actually looking up the differences between them. All this variety only makes it a bit more confusing for possible new users to choose and actually understand that although they are all VR, the kinds of experiences you can have can be rather different. Also in terms of development, having all these different pieces of hardware may be detrimental to high-end VR. There are several VR experiences that are just ports from Gear VR for instance, and as such, they do not take advantage of the capabilities of Vive or Rift. I mean, as a user I don’t see the point of getting an expensive piece of hardware if the kinds of experiences that I will find are the same kind that I could play with much cheaper headsets. I am not against developers making their games available in all platforms possible, but they should really take advantage of the tech when they make a port. higher rez, no screen door, inside out tracking, portability. I wouldn’t consider inside out tracking a pro with it being much more limited. The overall experience tracking wise is going to be more jank than a Rift or Vive. you mean “nominally more limited”. in the vast majority of games it doesnt matter at all. the only time it comes into play is when your hands are behind your back or raised above your head for more than a second. the main problems i see honestly are with steam vr so it crosses all vr users, if the game isnt made for your device it seems like steam vr is going to find a way to muck it up. That 95 degree FOV and 1440p will for sure have screen door effect. riiight, so even though none of the others have it this one will. When there isn’t any competition, people moan. When there is competition, people moan. “revolutionary new style” yeah calm-down…but I agree this is a pretty nice design compared to some of the horribly unbearable design (hmm Vive Pro hmm). The rest is pretty standard, save for the FOV which is just too short, which is odd given Samsung Odyssey manages 110° according to specs. Painting a pig at this point, HMD design is horrible at the minute! They are going to sell dozens of these! DOZENS!!! Asus is releasing this for bundling purposes which is how most of the non-Samsung headsets are sold. Unwanted headsets sold in bundles with new computers around Xmas is where all those discounted prices came from. Perhaps the writer should have clicked on the link he linked to about discounts. Those discounts were short lived, from 3rd party sellers and you were not guaranteed to get an unopened box. Click on that link now and you see the prices of those 4 headsets from the 3rd party sellers range from $430 to $712.